There was a time in the not-too-distant past when a mental health issue was often viewed as something to be ashamed of thanks to society’s long-held stigma surrounding the topic and subsequent practice of keeping such issues a secret. While we’ve made strides towards diminishing the stigma – with everything from widespread social media campaigns to public figures coming forward with revelations of mental health struggles – there remains an incredible amount of work to do. This is especially true when some of the country’s most influential and, supposedly, progressive institutions have seemed, frankly, stuck in time. 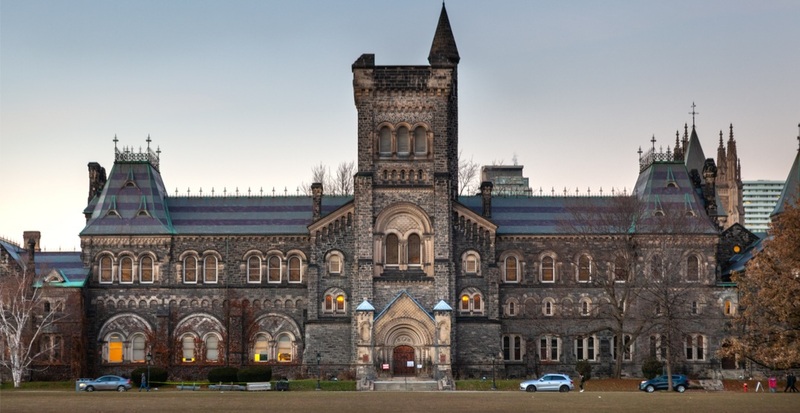 In recent years, many Canadian Universities – including the University of Toronto (U of T) – have employed practices of secrecy and downplayed student suicides rather than acknowledging them for what they are; not “sudden deaths,” or “incidences.” Furthermore, Ontario’s post-secondary institutions lack adequate resources to effectively deal with the volume of students who seek mental health help – something that was glaringly evident after my recent trip to U of T’s campus to speak with students, many of whom had far from positive things to say about the school’s mental health practices (and all of whom wished to remain anonymous). U of T made headlines in recent weeks in response to its dealings with on-campus suicides, the most recent of which took place at the Bahen Centre for Information Technology on March 17. The university released a statement saying the student fell to his death. She and her friend both revealed mental health struggles and frustration with long wait times when they sought help, but also with the consideration of mental health issues by university professors. A culture that now encourages the talking about and coming forward with mental health struggles has prompted countless university students to do just that. The problem is that academic institutions don’t appear capable of handling the demand, be it from a financial or moral standpoint. Sadly, this isn’t a new story and is too often reflective of the limits of the province’s – and the country’s – public healthcare system. Private counselling is out of the question for many already living on tight student budgets. In the wake of the March 17 tragedy, students staged a silent protest on March 18 in response to the university’s silence in dealing with mental health issues and lack of adequate mental health considerations. At the University of Toronto, there have been three student suicides since June 2018. That’s three deaths in less than a year. Having an appropriate response and action plan is no longer an option, it’s a necessity. Sadly, this issue isn’t unique to U of T. In the 2016-2017 academic year, four students at the University of Guelph took their own lives; two did so on campus in student residences. At the University of Waterloo, two students committed suicide in the span of three months during the 2016-2017 academic year. There have been at least two student suicides at Ottawa’s Carlton University in recent years. The common response from the institutions has been to wrap the incidents in a cloak of silence rather than report the deaths for what they are. The “incident” was a suicide. Call it was it was. This is the 2nd suicide to occur at Bahen within a year and UofT has done nothing to improve their mental health resources. At the University of Guelph, only the two deaths that occurred on campus were acknowledged with press releases, neither of which stated the cause of death. That’s not to say the students weren’t quick to find out, thanks to Google searches, social media, and the old-fashioned grapevine. The handling of the deaths by the university prompted the creation of a petition called “Guelph: Stop Losing Students to Mental Illness,” which called for transparency for the university’s mental health resources and evidence-based change. A petition was also created at the University of Waterloo in 2017, which garnered close to 15,000 signatures calling for change and resulted in a letter from the university’s president that promised just that. Following suit, U of T students have also created an online campaign to call for more action when it comes to mental health issues. The group of students behind the campaign is currently preparing a report that will be submitted to the U of T administration in the coming months on how the school’s mental health culture and resources can be improved. The campaign’s website features an anonymous platform filled with disheartening tales of students who both point fingers at the school for causing their mental health issues (citing things like the “unrealistic workload,” “competitive environment,” and “isolation in a school of over 60,000”) and the lack of efficient systems in place to deal with students suffering from mental illness. In addition to long wait times at U of T, students are also expressing their distaste about a mandated leave policy that was approved last June. The policy places students with apparent mental health issues who are seen to pose a risk to harm themselves or others on a mandatory, non-punitive leave of absence if the school deems it necessary. In addition to no shortage of voices calling it a violation of human rights, students feel this only makes the situation worse for those struggling, worrying they won’t come forward in fear of associated repercussions that come with being placed on leave. In response to the silent protest, U of T’s President Meric S. Gertler sent a lengthy email on Thursday, March 28, in which he announced “some crucial next steps” when it comes to the school’s mental health challenges. He also addressed the reasoning for not specifying publicly the cause of on-campus tragedies: the “responsibility to respect the privacy and wishes of parents who have lost a child.” Families’ wishes of silence, while completely respected, speaks to a larger societal issue that mental health – and suicide – is still something that people feel the need to keep secret. The identity of a student doesn’t need to be released publicly for the school to communicate that a student suicide occurred. In his email, Gertler outlined a plan with four key elements. These include the establishment of a Presidential and Provisional Task Force on Student Mental Health, whose primary task will be to review mental health supports and services for students at U of T; the asking of the Expert Panel on Undergraduate Student Educational Experience (USEE) to consider “the broader issue of learning cultures, competitiveness, student wellbeing and student supports in its deliberations and its recommendations;” the immediate engagement of senior administrators with partners in Toronto’s health system to refer suffering students to the care they require; and a redoubling of efforts to pressure the provincial government for providing more resources to meet the overwhelming need. And there’s definitely a need. A National College Health Assessment survey by Ontario University and College Health Association revealed that 46% of post-secondary students in Ontario reported feeling so depressed in the previous year that it was difficult to function – a figure that had increased from 40% in 2013. Furthermore, 65% reported experiencing overwhelming anxiety and 2.2% reported a suicide attempt in the previous year. Another survey by the Canadian Association of College and University Student Services found that 13% of students surveyed reported having seriously considered suicide – a jump of 3.5% from three years earlier. To call this alarming is an understatement. One argument for the practice of keeping student suicides hush-hush is that doing so prevents copycat syndrome, something that is a documented phenomenon. But not reporting them keeps us stuck in the past, blissfully unaware of the grim reality of the situation. Awareness is the first step of change. When it comes to numbers of student suicides, the problem is that it’s currently impossible to track how many students take their lives each year because neither the Chief Coroner, the provincial government, nor university officials are responsible for tracking student deaths. But they should be. Having an accurate representation of the figures not only highlights the magnitude of the issue, but also makes it easier to prevent future occurrences. We need to know the numbers, as disheartening as they are. It’s time.